Your order is directly redirected to our partner banks.Our website has a system of secured credit card payment on line which allows the consumer to scramble the transmission of his banking informations. The payment is directly made on line by a secured transaction, with the PAIMENT CIC’s system, to our partner, the SBCIC. To know more about your reservation, for any question about your order, contact us by email bonjour.loire@alafrancaise.fr or +33 2 46 65 51 57, 7days a week from 9am to 6pm, French time. Our website https://www.alafrancaise.fr/en/loire-valley/ provides real-time updated prices and dates. 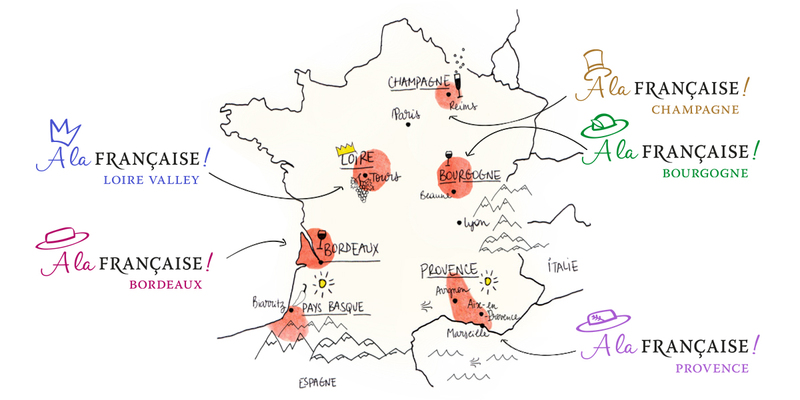 Every tour is lead by A la françcaise - Loire Valley’s guides, friendly and passionate about wine. They will guide you during your tour by giving a lot of little attentions.